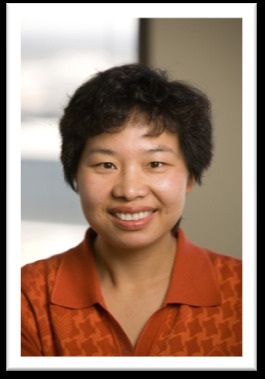 Dr. Zhao is a Clinical Assistant Professor at Tulane University School of Public Health and Tropical Medicine. She has strong experience in molecular genetics, bioinformatics, genetic epidemiology, and bone biology. She has published more than 50 manuscripts in peer-reviewed journals. Abstracts of her work have been presented at twenty-nine conferences, along with plenary posters and oral presentations. Dr. Zhao is a reviewer for a multitude of scientific journals. She has received numerous awards, including the Alice L. Jee Memorial Young Investigator Award, ASBMR (American Society for Bone and Mineral Research) young investigator award, Young investigator award from International Chinese Hard Tissue Society (ICHTS), and various travel awards. Her research interests are focused on identifying and characterizing genetic variants that affecting susceptibility to complex human disorders, such as osteoporosis, obesity, and vitamin D deficiency. 1. Zhao LJ, Zhou Y, Bu F, Travers-Gustafson D, Ye A, Xu X, Hamm L, Gorsage DM, Fang X, Deng HW, Recker RR, Lappe JM. Factors predicting vitamin D response variation in non-Hispanic white postmenopausal women. J Clin Endocrinol Metab. 2012 Aug;97(8):2699-705. doi: 10.1210/jc.2011-3401. Epub 2012 May 14.